Turns out the homeless man I spoke about the other day is alive. I don’t know what to do with this photo. 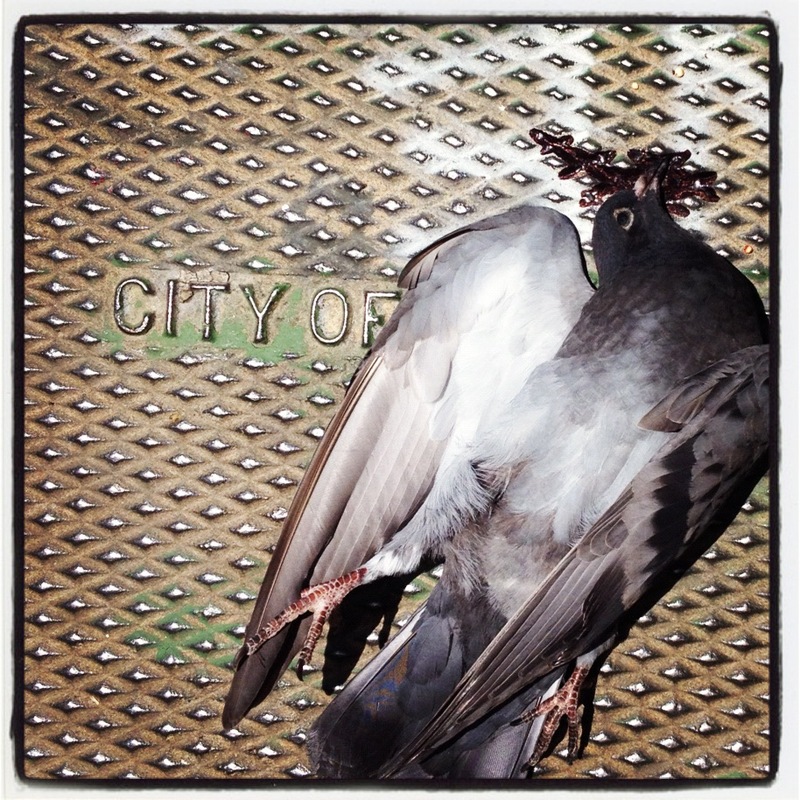 The idea of pigeons. In a way, it haunts me. I want to document the things I see on a day to day basis that impact me, but I am having a hard time knowing what is meant to be private and what is meant to be public. I have no clue how the bird died. I did not speak to the homeless man about it. I can’t stop thinking about mystics or mystical things. I am glad that the homeless man is alive and he gets to wear sunglasses. Simple things that made Sundays more pleasant. I’m glad that I’ve found your blog. I like your vision on urban life–what you’ve found & how you think. Great stuff. Thanks! I enjoy your site and perspective as well. I look forward to reading more of your posts.